Yesterday they announced that Britney Spears and Demi Lovato would be joining the judges panel for the Simon Cowell talent show “X-Factor”. I was dumbfounded by this revelation. What credentials could these two individuals possibly possess that qualify them to be judges of singers? So while I was thinking about how shows like this have “sold-out” and now only seem to be launching pads for celebrities to jump start their stagnant careers (hello J-Lo) I started thinking about some of the best rock singers I knew. Singers. I’m a big fan of them. Especially ones that do it with ease. Because what they do is something I long for but know I’ll never achieve, even with years of training. It’s something you’re born with. And it makes me love them and hate them all the more. But in a good way. #5. 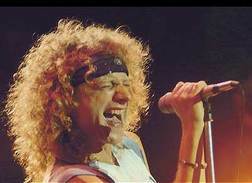 Lou Gramm: When I first heard “Hot Blooded” for the first time I was blown away. It was one of the first songs I ever attempted to sing for real and subsequently realized that I wasn’t a singer. Thanks Lou! Lou’s vocals also shine on songs like “Waiting For A Girl Like You”, “Juke Box Hero” and of course “I Wanna Know What Love Is”. #4. 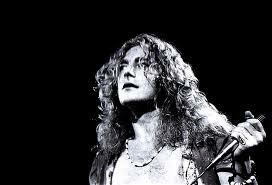 Robert Plant: I’ll probably take a lot of heat for this one but truth be told I was never really into Led Zeppelin all that much. I know, a travesty. Especially for a metal-head like me. I was one of the ones who knew about them but like most people grew incredibly tired of hearing “Stairway to Heaven” being played ad nauseam on rock radio. Perhaps that’s why I never opened myself up to some of their other great songs. But I give credit where credit is due. Robert was one of the best ever. #3. 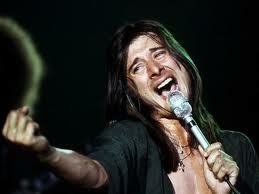 Steve Perry: You know how you can tell you’re an awesome singer? When you get kicked out of the band and the remaining members proceed to spend the next 15 years replacing you with guys who sound exactly like you. Sorry, but in this case, nothing comes close to the original. Kids these days can’t seem to get enough of “Don’t Stop Believin”. But I like to remind them how great it was for me to be living during the years when songs like “Any Way You Want It”, “Lights”, “Stone in Love”, “Open Arms”, “Separate Ways'” and “Faithfully” were actually new! Try to find any singer out there today that comes close to equaling a resume of songs like that. 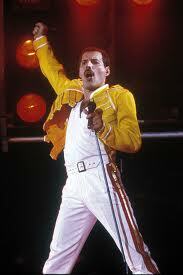 #2.Freddie Mercury: Without a doubt the ultimate front man. Watch their Live Aid performance from 1985. Or check out the video from their “Kind of Magic” tour. Not just a phenomenal singer, Freddie also knew how to play to the audience. Listen to him on the magnum opus “Bohemian Rhapsody”, his swagger on “Crazy Little Thing Called Love” and his fun side on “Fat Bottomed Girls”. And even those are just the tip of the iceberg. It’s still hard to believe that this guy’s been gone for over twenty years. Just think of all the great music we’ve missed. I still believe that if he was still alive Queen would be the biggest thing on the planet. Even when they replaced him with Paul Rodgers (an honorable mention on my list) they STILL played in front of crowds in excess of 300,000 people. #1. 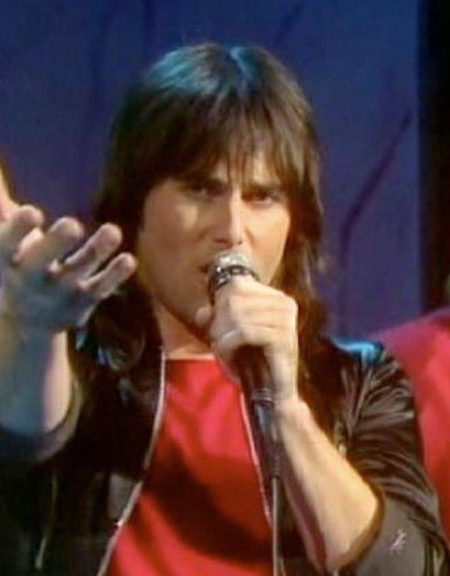 Jimi Jamison: In my view the ultimate rock singer. And no, it’s not just because he’s the only one on my list that I’ve actually met in person (although he is one of the most humble, down to Earth people you’d ever meet). Just listen to him on any of the 1980’s Survivor albums (my favorite songs being “Can’t Hold Back”, “Man Against The World” and “Desperate Dreams”) or any of his solo material. The man’s voice never changes. It’s as powerful as ever and he does it with ease. Survivor guitarist Frankie Sullivan once said Jimi could sing the phone book and quite honestly, I’d really like to hear it. Your turn. Who are your favorite male rock vocalists? You had me until Jimi Jamison… no one can beat Freddy in my opinion. I honestly believe Queen is the greatest rock band of all time, and Freddy the most emotive, technical and inspired singer of the modern age. Still rips me up that he’s gone and we don’t get any more. The reason I put Jimi ahead of him is because their music (as you know) was such an influence on me growing up. More so than Queen who sadly I never got to see live. But I don’t think I would have ever made it out of the 80’s without “Vital Signs”. If we’re talking the total package there’s no question though that Freddie was the best. OOoh Thanks for reminding me of that song Lori! I haven’t heard it in a long time! And you’re right, those were some borderline lyrics. And that range was crazy. well jim, it’s hard to argue with your choices and even harder to argue with the order. having seen 4 of the 5 live both in their prime and after, you cannot help but marvel at just how much talent is there. love the steve perry comment, so true. actually the guy before pineda, steve augieri did a pretty good imitation of SP as well. i guess what they say about imitation is correct. two others i would add to the list are 1) art garfunkel, hearing him sing ‘bridge over troubled water’ live was one of those nights where tears fell down my face. the sounds coming from his mouth should not be made by mortal man. 2) james taylor. while he does not have the range of any of the aforementioned singers, there is such a beautiful quality to his voice, i could listen to him sing forever. great post, are the women up next? I got to see Steve Perry during his “Love of Strange Medicine” tour back in 94 (I think). I saw Journey last summer with Arnel. no way the same. Love James Taylor. And your Art Garfunkel choice was great too! i’d even throw John Denver on that list as well. No where near the same category as the guys on this list but one of the best pure singers ever. 5. Love her. Saw her on the Rock a Little tour back in 1986. Even did a music theory project on one of her songs. We had to transpose it into a jazz band piece. I’m sure it sounded like garbage (was never performed) but it was cool to pay homage to Stevie. 4. I do regret never having had the true “Zeppelin” experience as everyone else. 3. Forgot all about Jon. Great vocalist. I’d put John Wetton from Asia on the list with Jon too. He’s another guy that’s still got it. 2. Saw Pat several times. Last time in Florida when she opened for REO. The best total package female rocker. 1. No doubt there as far as being the best front man of all time. Jimi edged him out for me because (as you know) his music was so influential to me in the 80’s. Since we’re adding some. I’d like to add Bob Seger and Jackson Browne too. Love their music. My top 2 is same with yours. Freddie is great, but Jimi is perfect. That’s why Freddie is number 2 and Jimi is number 1.